Find hotel near Museo Interativvo Delle M ..
Popularly known as MiM, this museum is located in the headquarters of the Association “Bellunesi nel Mondo”. 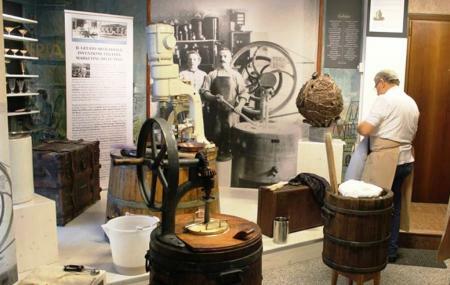 The museum has been serving as a reference point for emigrants and immigrants in Belluno for many years. It showcases the journeys of the migrating communities from Belluno to distant lands or their return to Belluno. The set-up of the exhibition consists of movies, pictures and stories of the protagonists of emigration and immigration in Belluno in the past as well as in the contemporary world. The communities that have special feature over here are: the miners in Belgium, the chair-makers, carpenters, stoneworkers or the young people born in Belluno who have to leave their hometown to find fortunes abroad. This museum is open only on reservation. Check the website for online exhibition tickets. The museum remains closed on Saturdays and Sundays. However, you can visit it in guided group tours. How popular is Museo Interativvo Delle Migrazoni? People normally club together Parchi Avventura Belluno and La Fontana Di San Gioata while planning their visit to Museo Interativvo Delle Migrazoni. Il museo della storia del popolo Bellunese. Se passare per Belluno, non potete perdervi il museo interattivo.